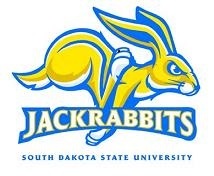 UNDATED - South Dakota State won a thriller Tuesday night, taking down Ole Miss in overtime at The Pavilion, 99-97, behind a school-record 18 3-pointers and three double figure scorers. SDSU (7-2) overcame a furious second-half comeback by the Rebels, and in the extra period regained composure to secure the road win, thanks in part to eight points from David Jenkins Jr. in overtime. The Jackrabbits attempted 41 3-pointers in the game and shot 47.3 percent from the field (35-for-74) to go with an 11-for-13 effort at the charity stripe. Ole Miss (4-2) shot 50 percent on field goals and hit seven 3-pointers after going 1-for-15 from long range in the first. Mike Daum paced all scorers with 26 points, hitting six 3-pointers to go with seven rebounds while Jenkins dropped 22 total points, hitting all six of his free throw attempts. Reed Tellinghuisen had 19 points and drilled four 3-pointers. Tevin King pulled down nine rebounds and dished six assists, both team-highs. The teams traded punches early in a back-and-forth extra period with four ties and five lead changes, but down 91-90 inside the final two minutes, Tellinghuisen drilled a 3-pointer at 1:39 to put State in the lead for good. The Jacks scored on their final four possessions to close out the victory as Jenkins supplied the dagger, hitting a jumper with 10.6 left in the game.